CampoBet Casino will then reward you with a bonus (Welcome Bonus is for new players only). The terms and conditions of the bonuses vary between different casinos and might also change over time and between different countries, so it is important to compare the different offers and read the T&C for CampoBet Casino before signing up. Established in 2018, Campobet is an online gaming platform that offers its players a wide range of online casino games besides the sports betting. It is licensed to conduct gaming operations through the jurisdictions of Curacao. When it comes to security and fairness, the casino employs the use of industry standard SSL encryption. This protects players’ personal information and financial transactions. The website comes in 10 languages, including English, Polish, German, Norwegian, French, Russian, Hungarian, Portuguese,Turkish, and Finnish, which is always convenient. Even though Campobet is new to the online casino industry, this online casino is already working with 29 software providers. The incredible lineup of software providers powering the casino includes both leading names in the industry and less popular ones. There are NetEnt, Microgaming, BetSoft, Play’n GO, Pragmatic Play, Yggdrasil, Quickspin and many more that have accounted for the impressive range of high-quality games. When you enter the neatly-arranged lobby, you will be presented with a diverse and extensive selection of games. Whatever your favourite way to play is, this casino should have something to suit you! The games can be sorted by their popularity, release date or genre. Or you could create your own, favourites collection by by clicking on the heart icon in the game launch window. There are plenty of slots, card games, live dealer games, and video poker games that can all be found quicker with the help of the search bar or you could search them by the provider. As we mentioned above, Campobet casino’s list of providers is extensive, which also means slot collection is quite large and covers great deal of both classic and new slot machines. In the slots category you will be able to find ever popular titles such as Starburst, Gonzo’s Quest, Book of Dead, Twin Spin, Immortal Romance, and branded titles Guns N’ Roses, Jimi Hendrix, The Invisible Man, Planet of the Apes, Jurassic Park . Some of the new releases at the moment are Turn Your Fortune, Wild-O-Tron 3000, Book of Oz, Crystal Rift, Star Joker, Dragon Maiden, Yak, Yeti and Roll, Chillipop, Trolls Bridge, Divine Dreams. If you are not in the mood for slot machines, you could always try various table games. Games on offer include table favourites such as Poker, Blackjack, Roulette, Baccarat, and they are available in different variants with many different limits. Poker sub-category features Oasis Poker, Trey Poker, Texas Hold’em, Casino Hold’em, Pai Gow, Caribbean Poker. Blackjack variants include Single Deck and Multihand Blackjack, Hi Lo Switch, Double Exposure, Atlantic City Blackjack Gold, Vegas Strip, Spanish 21 Blackjack and more. In addition, the casino has a selection of video pokers which includes games like Joker Poker and Poker Pursuit. Apart from the table games, at this online gaming venue you will be able to play video poker and Lucky Keno game. Some of the featured Video Poker titles are Wild Texas, Bonus Deuces, Pyramid Bonus Poker, Double Bonus, Joker Poker, Joker Poker Big Beer, Deuce 3x Poker, All Aces Poker, Poker Pursuit, Jacks or Better Power Poker and more. As for the live dealer games you can enjoy games like Live Three Card Poker, Live Casino Hold’Em, Live Blackjack, Live Baccarat, and Live Roulette, as well as Live Sicbo, Fan Tan, Red Dragon and Dream Catcher. 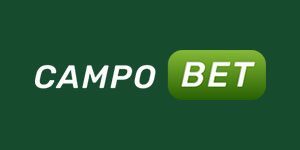 Payment methods at Campobet include Visa, Mastercard, Skrill, Neteller, Paysafecard, Bank transfer, Klarna for Swedish players, Multibanco for Portuguese players, and Boleto, a popular Brazilian cash-based payment method. What is also worth noting is that this gaming establishment accepts Bitcoin as the leading form of cryptocurrency. Of course, withdrawing your money is done with the same credit card or e-wallet you used for depositing. The withdrawal limit is determined depending on your player status. There are 5 player statuses that are determined by the gaming activity during 30 days. For instance, the maximum monthly withdrawal for beginners can be €6,000 and for the highest player level called ‘Legend’ is €20,000. CampoBet has great options when it comes to customer service. If you by any chance experience a problem with their services, you can always contact the casino’s friendly and professional customer support team via live chat feature, email or telephone. However, the latter may not be free of charge for international customers. As this online casino welcomes many countries around the world, the customer support staff speaks a variety of languages besides internationally spoken English. You can chat with them in Swedish, German, Russian, Polish, Portuguese, or Hungarian and they are fast at replying since the average response time is 5 minutes, and 45 minutes for emails. In addition to this, they have provided an extensive list of answers frequently asked questions, so you might want to check that out, too.